Another treat from our very good cook Sis. Cresing, the pride of our church when it comes to fine cooking, it's her birthday this time. This was a shot last April 5 before we went to our summer camp meeting. 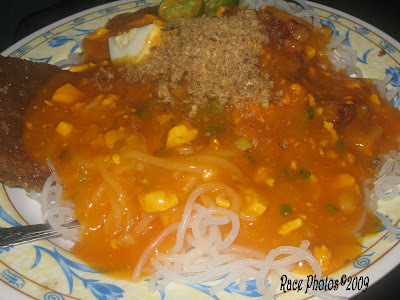 A very special pancit palabok for the birthday of our special elder sister in the church. We even had some packed pancit for our loved ones at home.